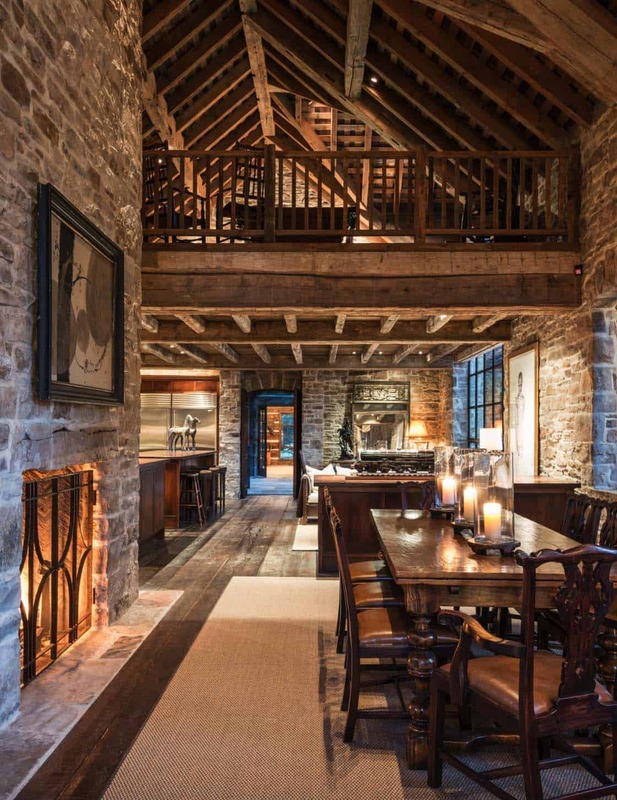 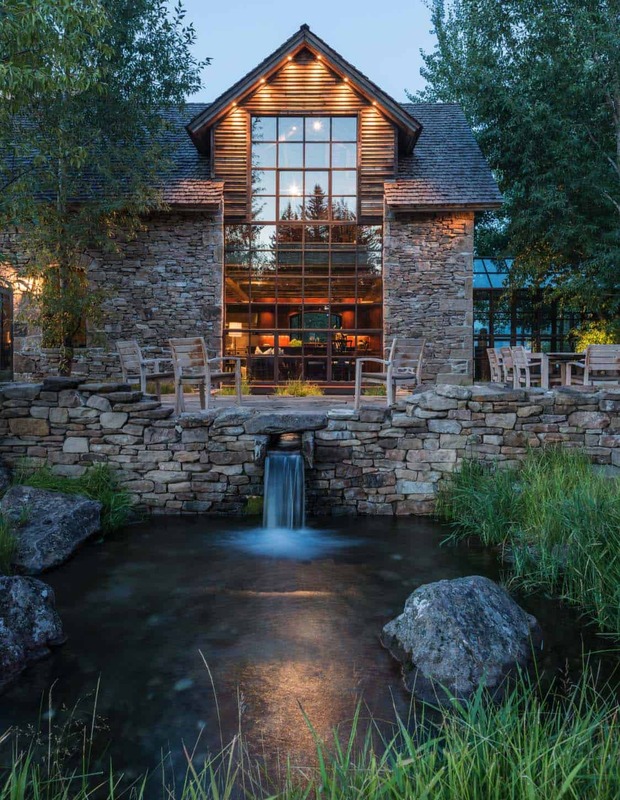 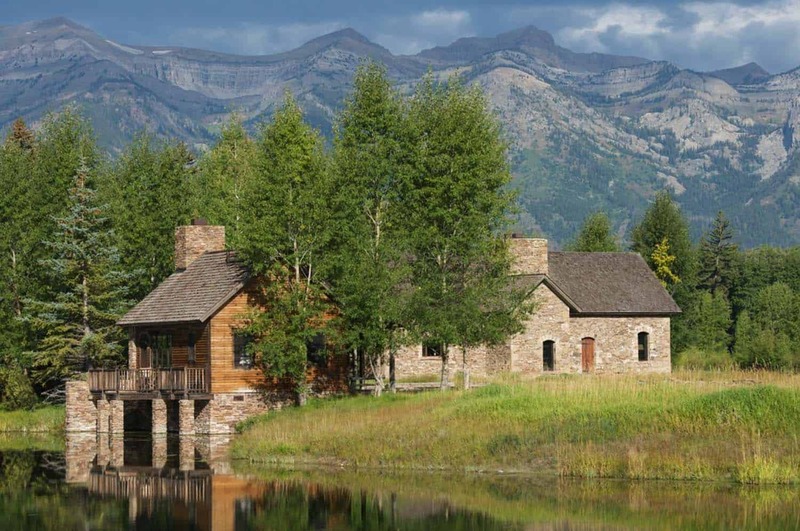 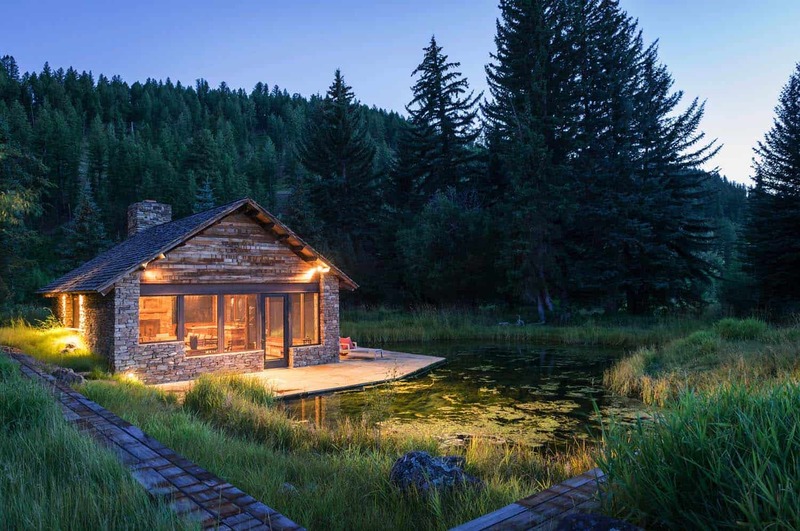 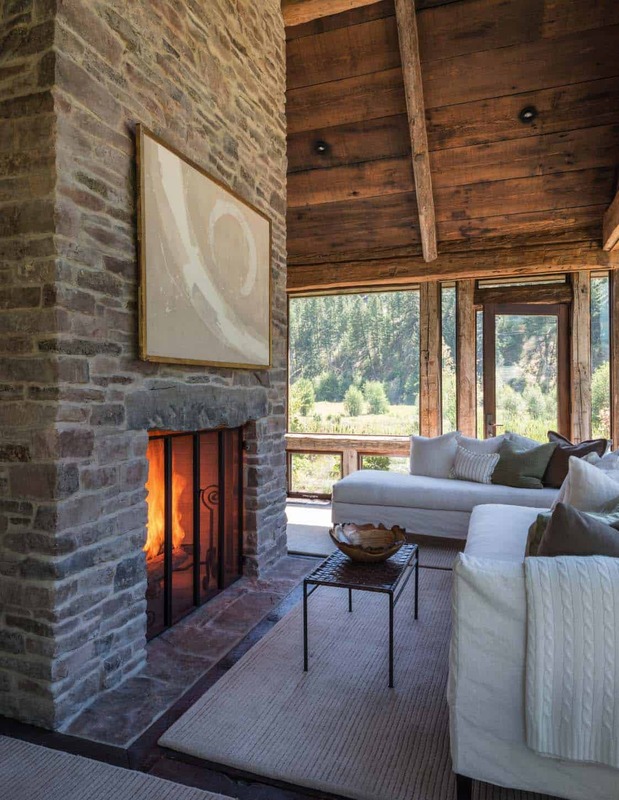 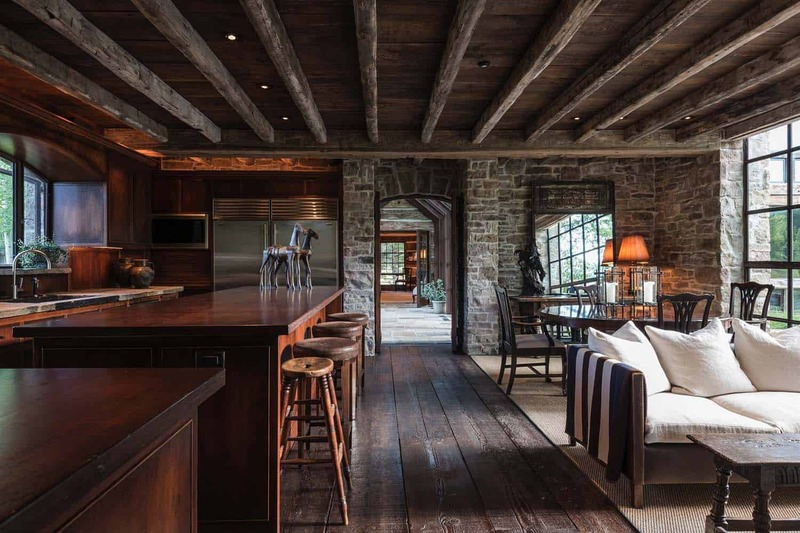 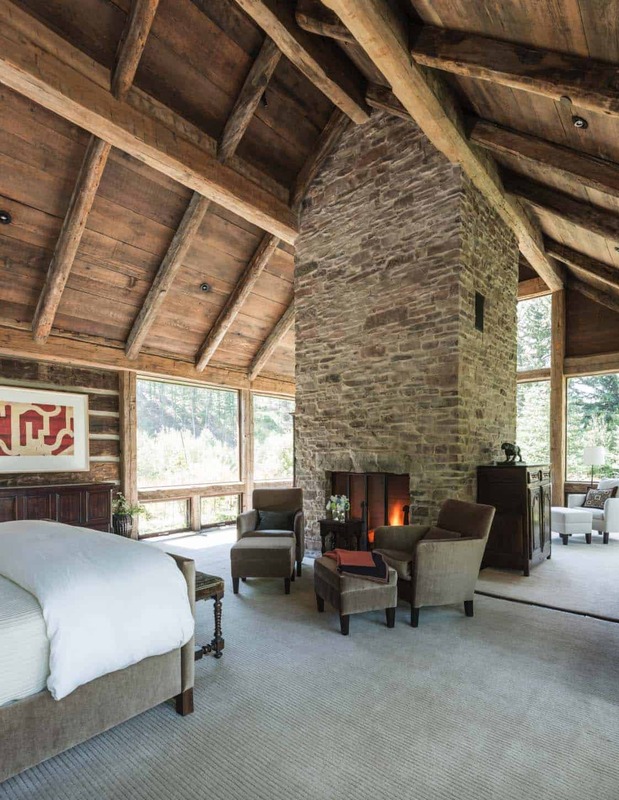 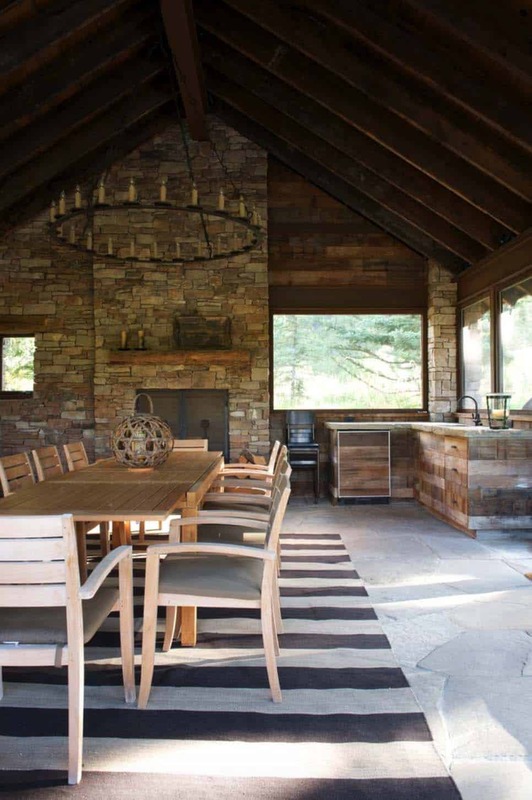 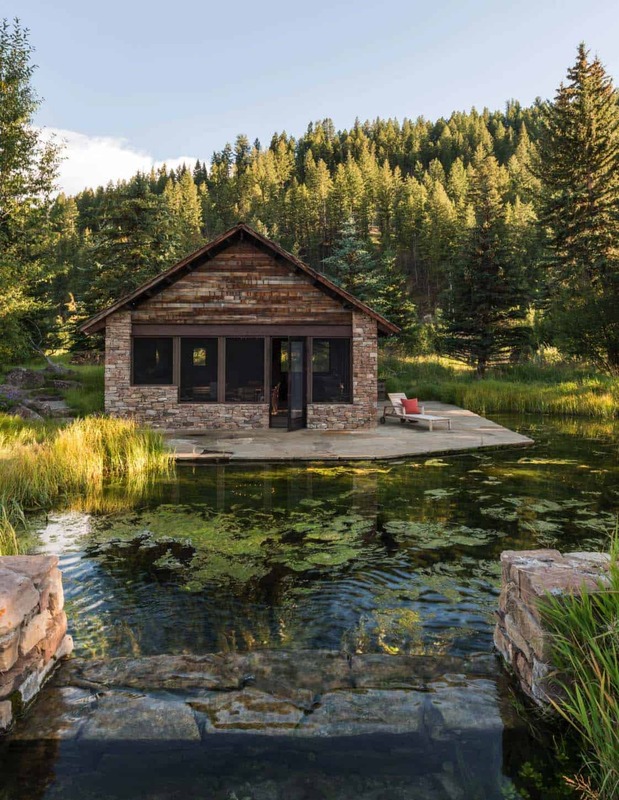 This stunning rustic stone and timber home was designed by JLF Architects along with design-build firm Big D Signature, located in Jackson, Wyoming. 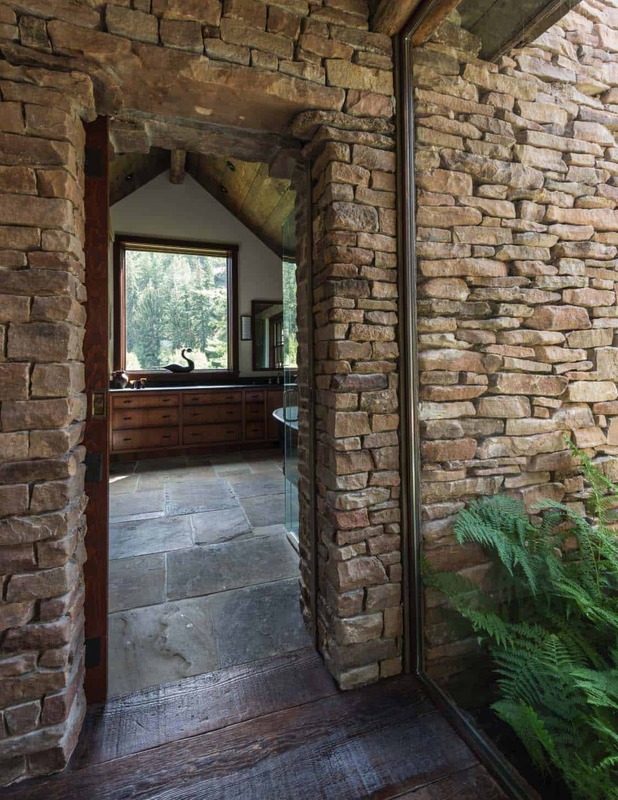 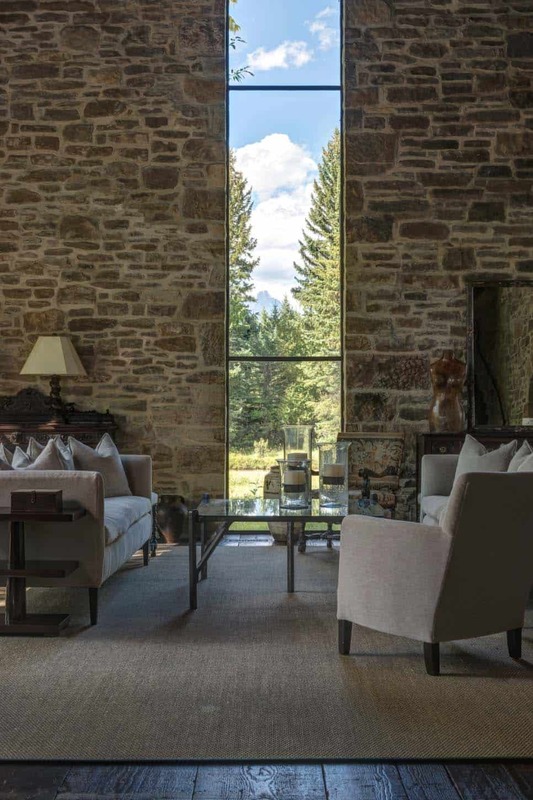 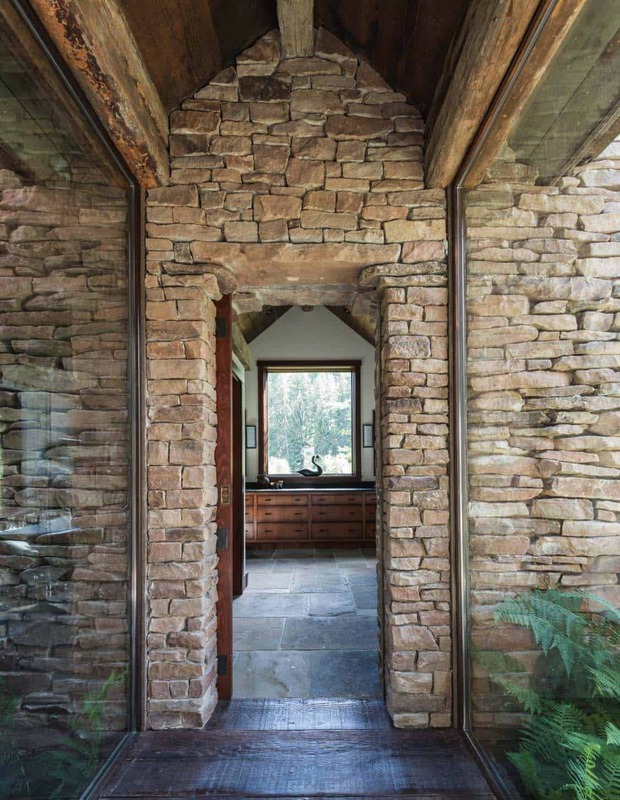 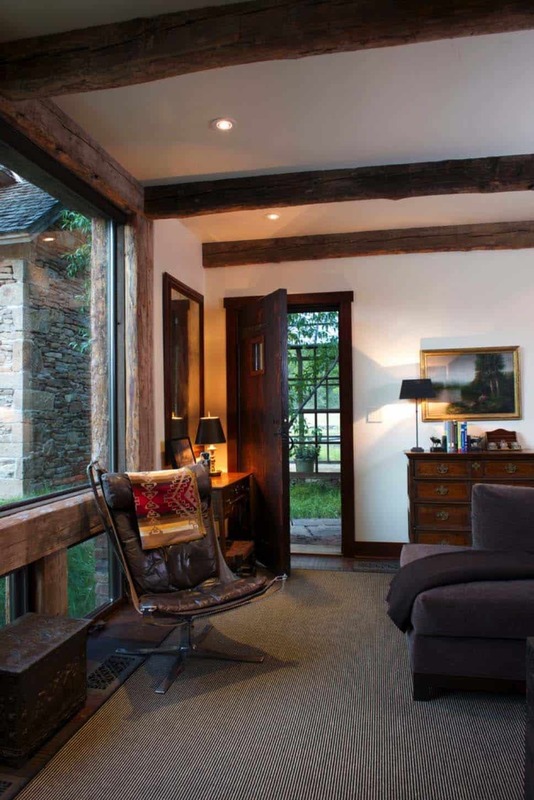 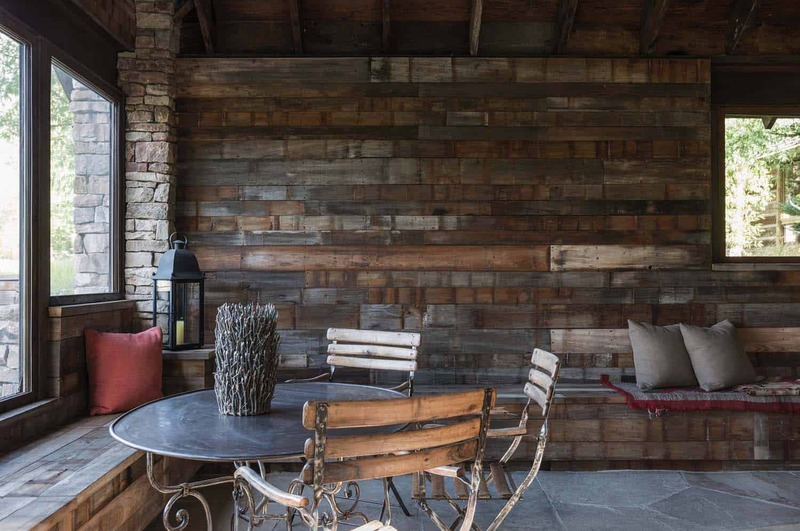 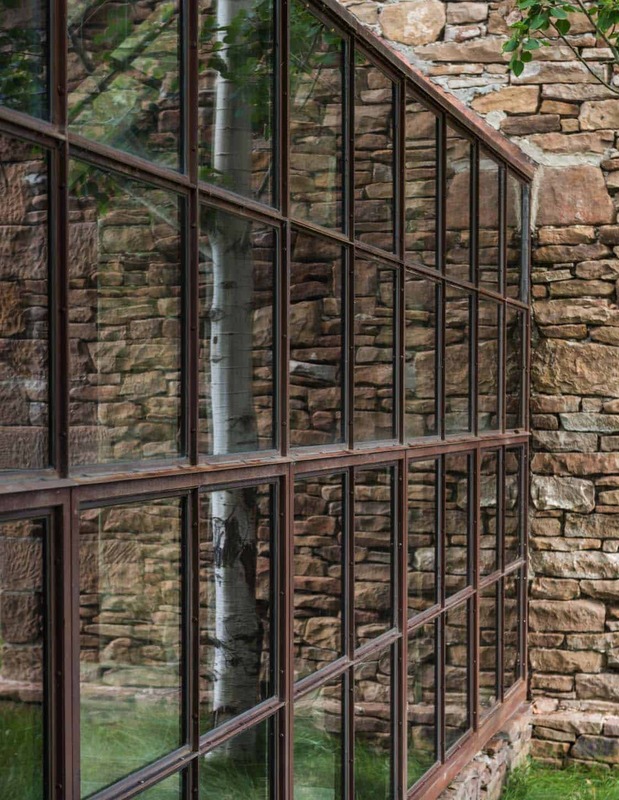 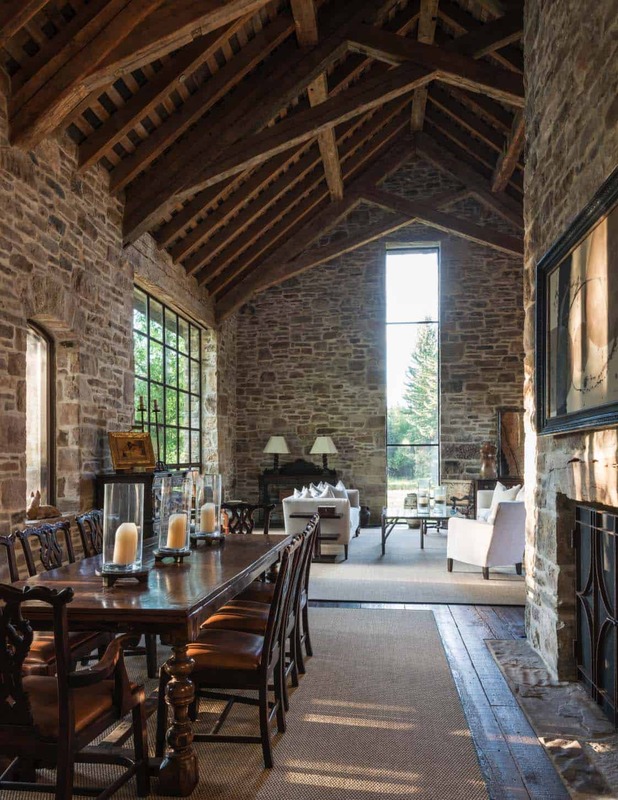 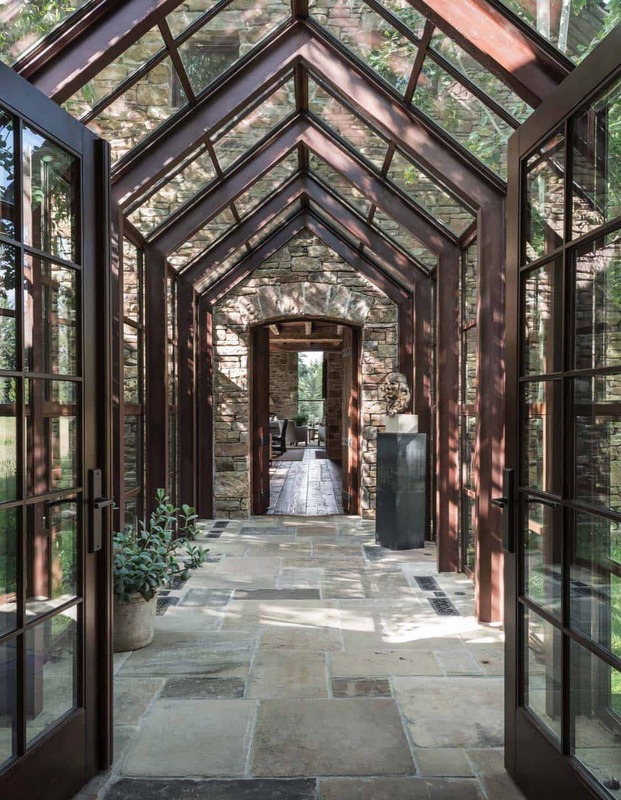 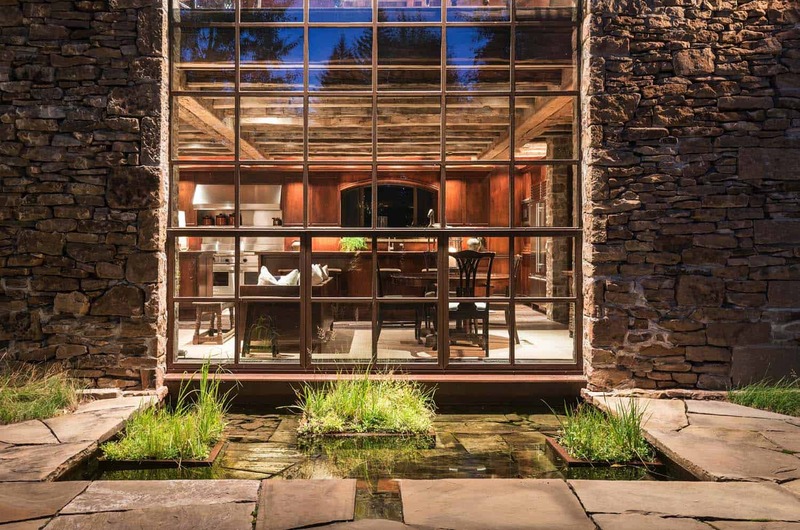 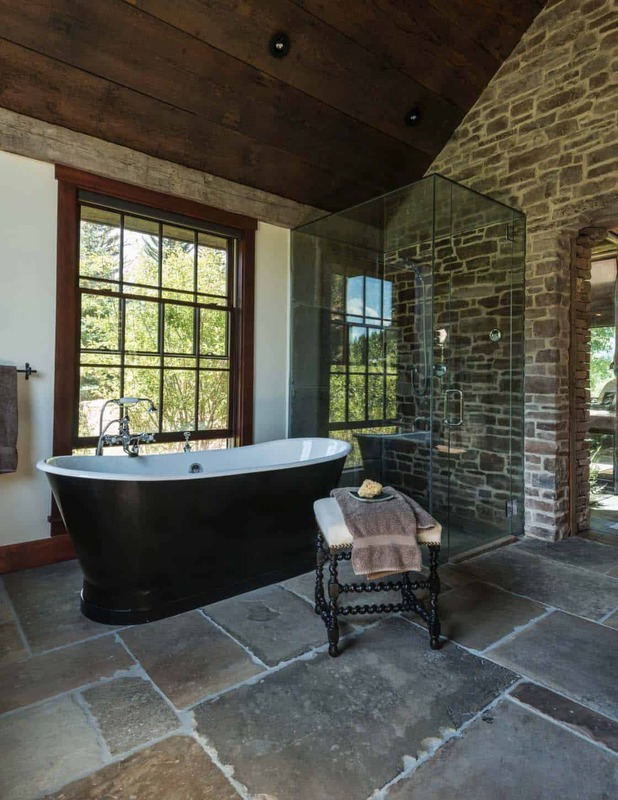 The weathered stones for the structure were reclaimed from an old ruin scouted in Great Falls, Montana. 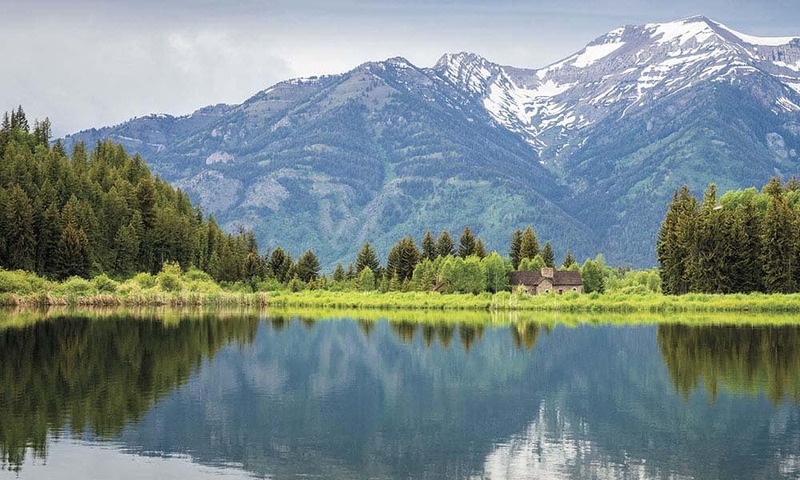 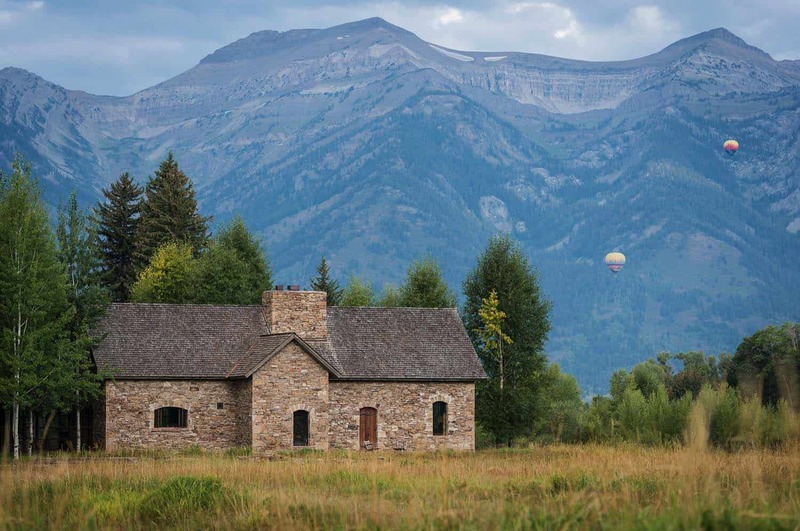 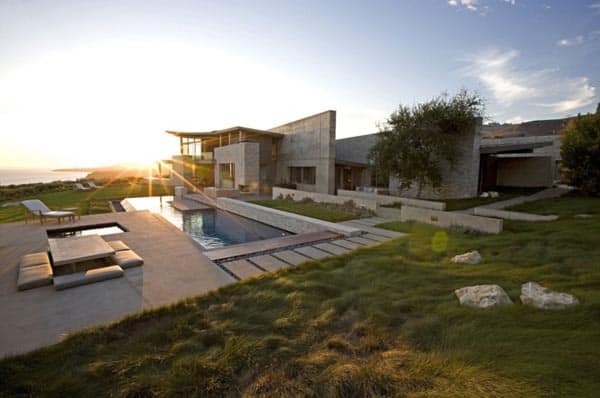 The home is nestled in a meadow of native grasses, with the Grand Teton mountain range serving as its backdrop. 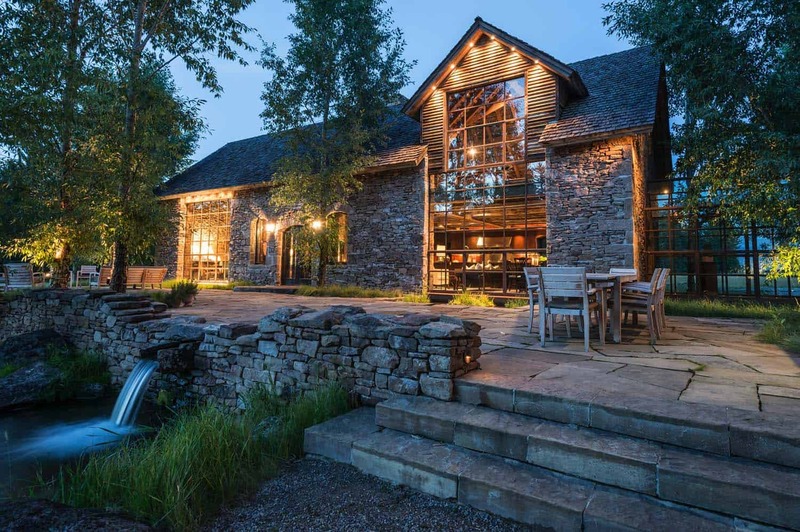 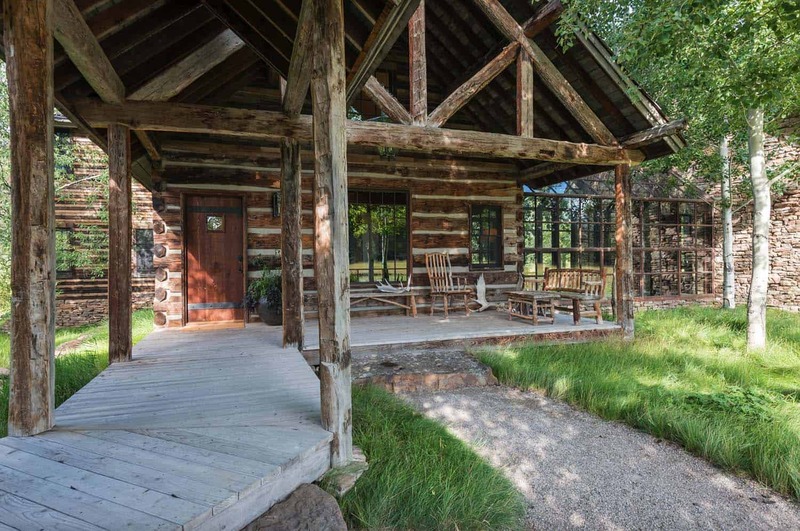 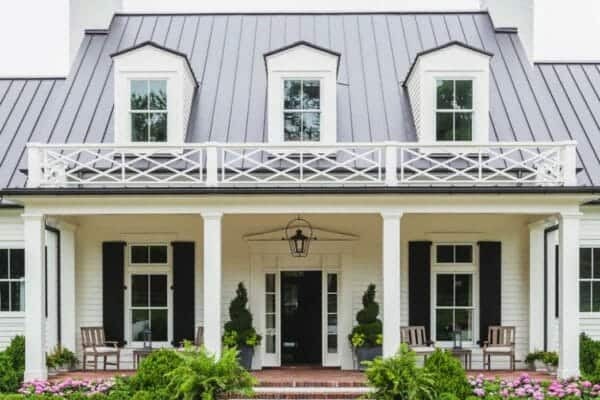 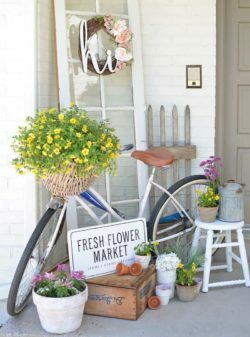 The property was once a working ranch, set along the flowing waters of the Snake River. 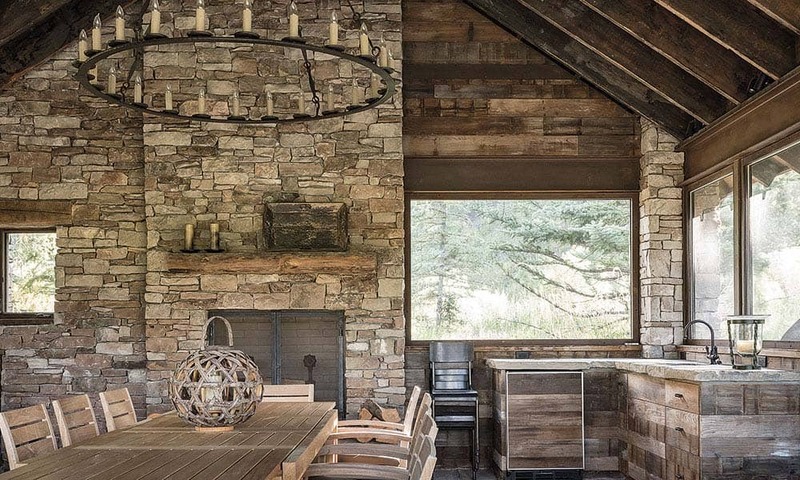 The home was designed to maximize views of the Wyoming countryside. 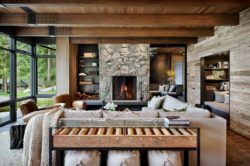 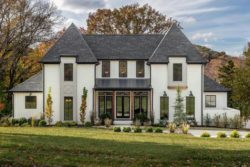 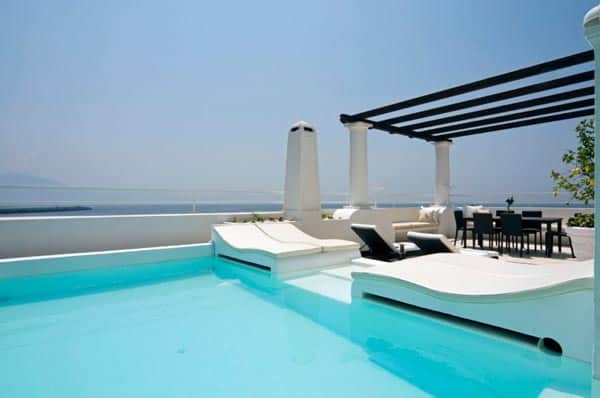 The interior living spaces encompass a living room, kitchen, dining space, master bedroom retreat, guest bedrooms and a sitting area.